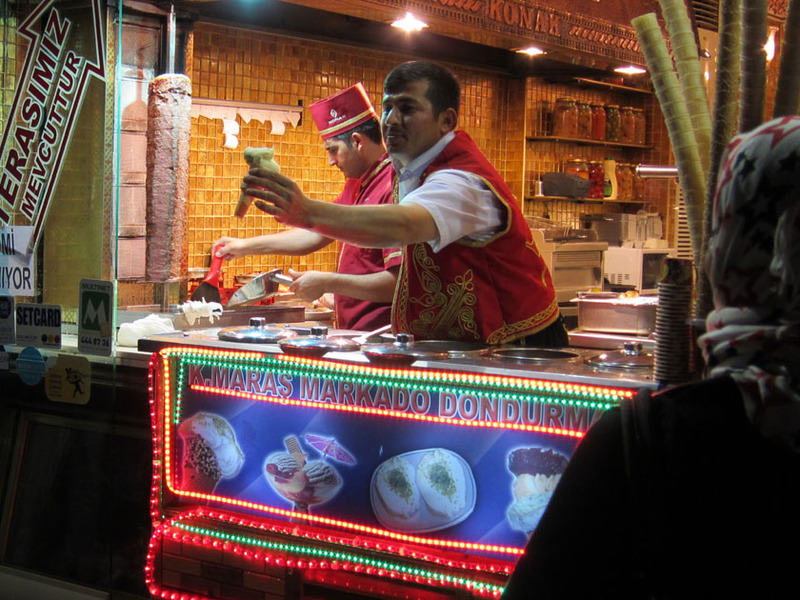 Turkish ice cream, or dondurma, is thickened with mastic and flour so that it takes on a wholly different consistency. It stretches like taffy and is kneaded like dough but is still essentially milk and sugar. Because of these sticky properties, ordering a cone in Turkey usually comes with a string of “think fast” tricks in which the vendor moves ice cream back and forth over two cones and flips your dessert away as you reach for it from the serving stick. After dinner of the mixed grill plate for two at Konak Kebap on Istiklal Street (very delicious and so much food), we watched the restaurant’s ice cream stand sell a few cones which was pretty funny. It turns out that a good natured offer for “extra” is just a ploy to get your cone back on the stick. I didn’t end up trying dondurma that night; I was just too full for ice cream – at least ice cream I had to work for! 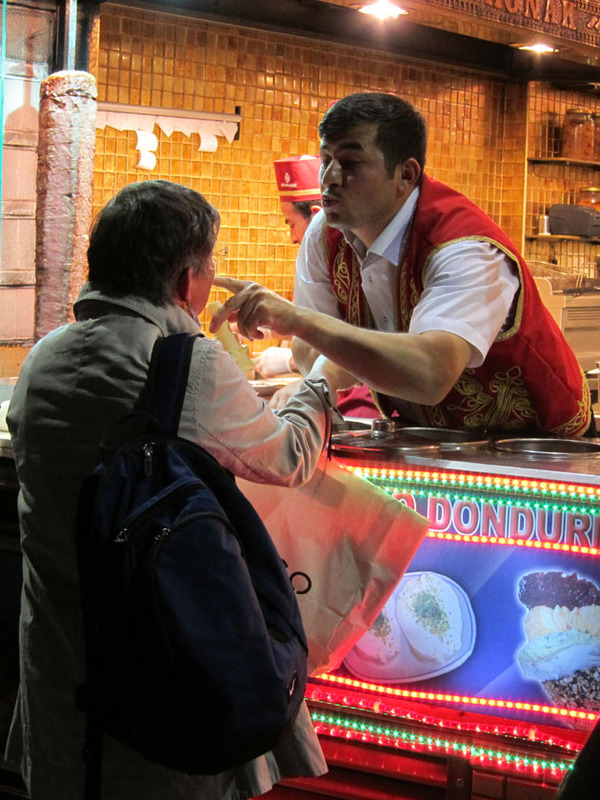 To see an Istanbul ice cream vendor in action, check-out it out on YouTube.